EXCITING NEW UPDATE: As a result of our May 2nd posting reaching out to all my friends and potential donors for funding to complete the barrier free/wheelchair friendly path to finish the east side development of the sculpture garden at the Dominican Center at Marywood, we are getting closer to completing that goal. The Bridge, Partial Path and Water Feature have just been funded. Thank you from all our hearts at Instruments of Hope, to Steve and Darlene for the $25,000.00 donation. 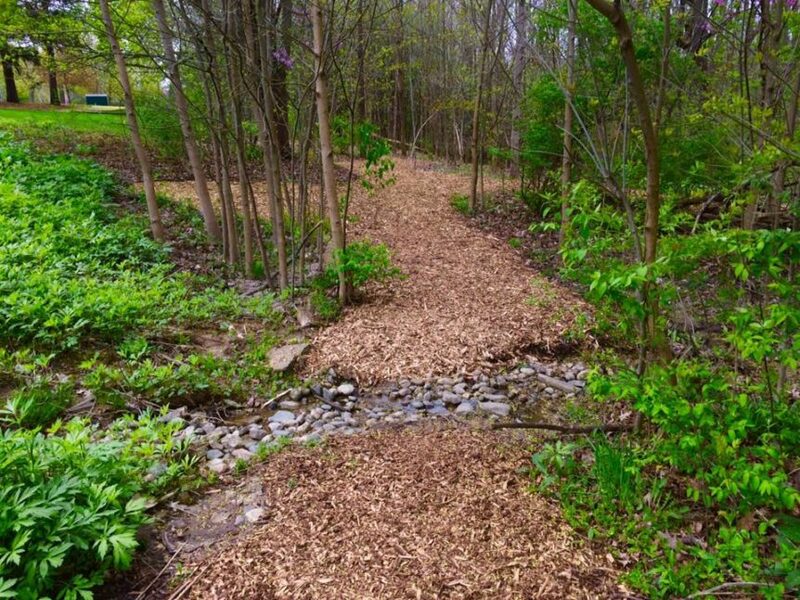 We are looking to complete funding for the remainder of the path Garden site 8, 9 and 10 to begin final construction of this phase to complete by mid-summer. Every little bit helps. If you know of anyone that may have a passion for combining nature and healing, please share this project with them. Many employers offer matching gifts, potentially doubling contributions. Donations from gifting accounts, and personal donations will make this dream a reality. All donations are tax-deductible through our 501(c)(3) non-profit organization, Instruments of Hope. If you would like to follow this project and see what is happening at the healing garden, please like and share our Facebook pages “Instruments of Hope” and “Saint Francis of Assisi Sculpture Garden at Marywood Academy”. Thank you to everyone who has contributed in some way to make this dream a reality as a place to heal and commune with nature. For more information, please message me for a personal tour of the garden or to find out more details about our vision.